India and Australia have been two of the most dominant sides in the history of ODI cricket. Over the 48 year's of the 50-over format, the players from these two sides have enthralled and bewitched the cricketing world with their resplendent deeds on the cricket field. In fact, out of the 11 editions of the World Cup, seven of them have been won by one of these two. Be it the class of Tendulkar, or the majesty of Ponting, or the craftiness of Mcgrath, or the wizardry of Warne, the cricketers from these two sides have had a lasting impact on the game. Now, how would it be, if the players from these two sides played for the same team? With another India-Australia series about to start, let us look at a combined ODI XI comprising of greatest players from the Indian and Australian cricket team. Tendulkar’s ability to play the straight drive with effortless ease made your jaw drop. His ability to flick the ball between midwicket and square leg with the precision of a surgeon made opposition captains scratch their heads in utter disbelief. Tendulkar is the most complete batsman that ODI cricket has ever seen. The ‘Master Blaster played a staggering 463 ODI’s for India and scored a whopping 18426 runs including 49 hundred and 96 fifties. 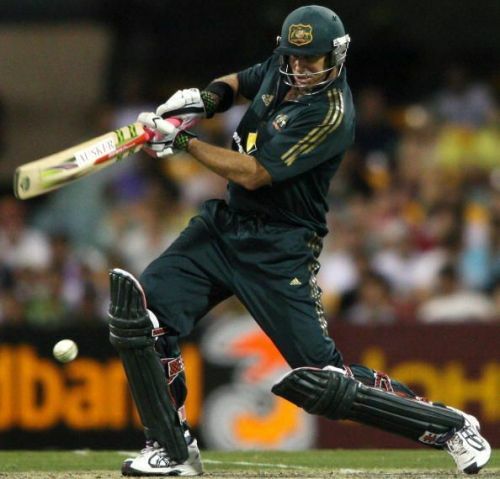 Opening the batting along with Tendulkar would be the left-handed batting marauder from Australia: Matthew Hayden. Hayden is one of the most destructive batsman ODI cricket has ever seen. His ability to hit the ball with tremendous power sent shivers down the spines of bowlers all through his career. The artistry of Tendulkar and the audacity of Hayden will make for the most feared opening pair in ODI history.